It’s not hard to imagine . . . a stately house with once-manicured grounds slowly succumbing to what Adams Sutphin of H. Adams Sutphin Architecture calls the “jungle of Virginia.” In fact, by the time he stepped on site in 2008, the Classical Revival-style Tiverton estate had been nearly swallowed by English ivy, lending the property an air of mystery. “Tiverton has been a fascinating place for all us of locals who have lived around Charlottesville,” notes Sutphin. The property’s visibility from the road meant many onlookers watched it suffer neglect for years. 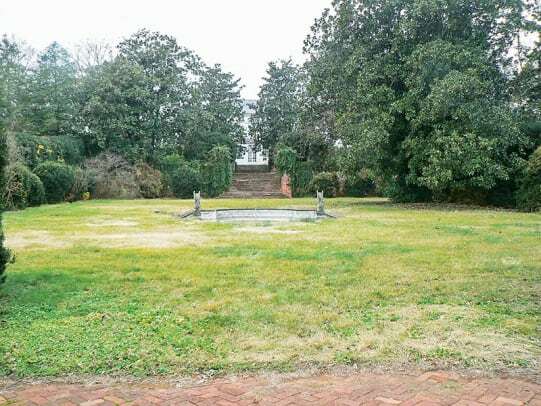 The absentee owner did very little to preserve the house and grounds, so when Sutphin’s team took on the restoration project, they had their work cut out for them. The date of the original construction is unknown but Sutphin had access to photos of the property’s exterior taken in 1917. “They show the house as we believe it was originally constructed.” (Some architects speculate it was designed by McKim, Mead, and White and patterned after The White House.) At the time of Sutphin’s restoration, however, much of the house’s character was shaped by a different era. In 1935, a fire gutted the house and roof, though the major walls still stood. 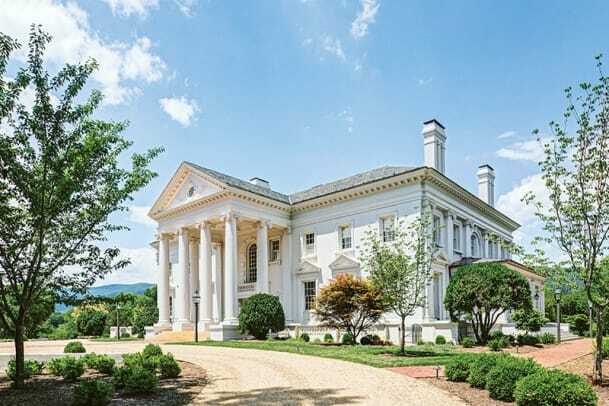 The owner at that time set about repairing the home and engaged landscape architect Charles Freeman Gillette of Richmond to redesign the gardens. 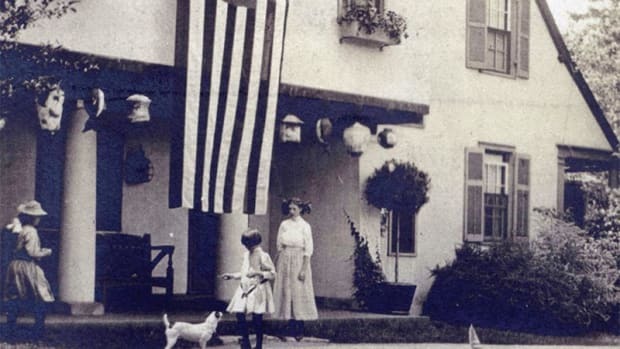 It was the home and gardens of 1935 that Sutphin faced. “We inherited a house that, on the outside, looked very similar to the original structure,” he explains. “The interior, though, looked like a 1935 revision of a home from that period. We had no photographs so we can only imagine what the interior of the [original] home looked like as compared to 1935.” Oddly, when they arrived, some of the interiors were “Pepto-Bismol pink with sort of a Miami flair” and the entire house was weighted with French provincial furniture from the 1960s. “In 1935, there were different ways to achieve what they wanted,” notes Sutphin. “For instance, the plaster molding inside the home were pre-[fabricated] pieces.” Because catalog ordering was an option at that time, many traditional elements came from nontraditional sources. The brick exterior, plaster interiors, and layout, however, remained true. “We think the plan of the home was very similar [to the original],” says Sutphin. 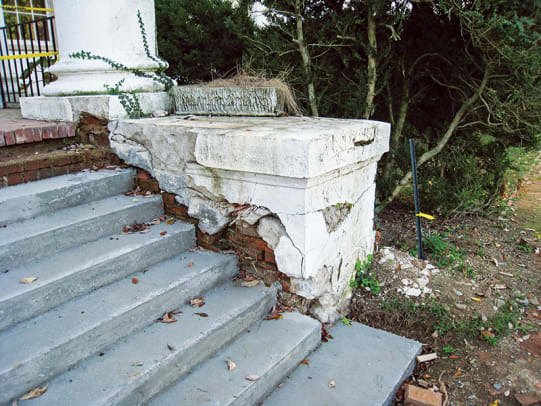 Upon purchase of the property, the Virginia Department of Historic Resources was contacted to see if the house would qualify for the state’s historic tax credit for rehabilitation projects. It was. “Working with them, we were able to carve out portions of each floor where we could preserve the main areas . . . and reconfigure some of the minor elements.” The main floor comprises four large spaces: a library, a parlor, a dining room, and a large entrance hall. Minor spaces include a corridor, a small bedroom, a bar area, bathrooms, and a separate backstair. In addition to the kitchen, the library is of special note. “It’s is a place where we did more than less,” says Sutphin. It featured four small bookcases with highly decorative plaster wall panels and pilasters. Large custom-made bookcases were added “to create more of a library experience.” Restrictions mandated by the Department of Historic Resources meant the new bookcases had to be removable, and none of the existing plasterwork could be affected. The idea for the library was to make it warmer and more welcoming—it’s a very large space that had been overwhelmed by an ornate fireplace. “It was the only thing you noticed when you went in because it was almost the only thing in there,” says Sutphin. With the new cases and lighting treatment, the room became less formal and more functional. Outside, the gardens are period appropriate for 1935 and are typical of Gillette’s style. He terraced the existing lawn using brick retaining walls. (There are photographs of the gardens from 1917, featuring sloping parterre gardens.) He divided the gardens into an upper terrace by the house and a large “sunken garden” hemmed in boxwood with a reflecting pool in the center. In 2010, the owner had all of the invasive plants removed to uncover what was intentionally planted. Landscape architect Rachel Lilly was hired to bring the gardens back, not necessarily to historic perfection but to maintain the integrity of what was there and to insert elements in step with today’s gardens. Interestingly, detailed landscape plans for 1935 were found in the house. They called for very high-maintenance plantings. Lilly took the plans and incorporated existing features, such as the walkways (they even added walkways that were in the drawings but never built) to create less labor intensive gardens. Particularly challenging were the retaining walls, as they were exceptionally tall and dangerously on the verge of collapse. They were dismantled and restructured to meet code without sacrificing the preservation requirements. Decorative ironwork throughout the grounds was also taken down, refurbished, and reinstalled. In addition to the grounds and the main house, there was a period greenhouse that was “pretty highly developed for its time.” Completely renovated, it is again a working greenhouse. Abutting it was a collapsed head house, which they rebuilt from scratch. “It was basically archeology,” says Sutphin, noting that the whole structure had fallen apart and sunk into a hole in the ground. The roof form was a bit unusual and needed to meet with the greenhouse roof. “It is known to not look like what was there, but it is known to accommodate what was there,” he explains. They also managed to save a carriage barn from ruin, as well as three tenant homes—one serves as a gatekeeper’s house; the other two are farmers’ cottages. 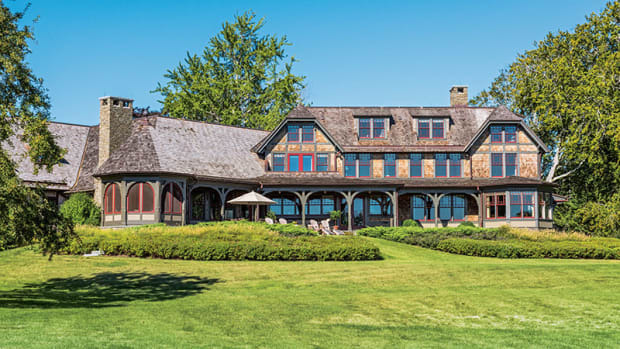 General Contractor: Mr. Robert Menasco, Project manager for Martin Horn Inc.
Johnson Lasky Architects undertakes the restoration of Howard Van Doren Shaw's Ragdale House, a historic artists' retreat in Lake Forest, IL. 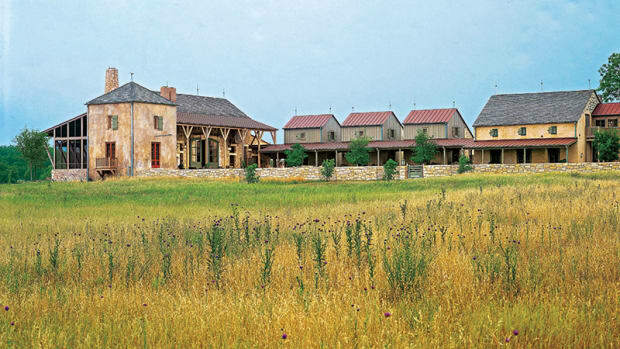 Architect Don McDonald's restoration of Triple Creek Farms in Fredericksburg, TX, includes a series of sympathetic smaller buildings.